For developing countries, access to reliable and affordable energy is essential for economic development and social progress. It is crucial for running businesses, institutions and households alike. In developing countries, approximately 1.6 billion people lack access to energy. This offers substantial opportunities for investors who wish to invest in the renewable energy sector. Renewable energy is an integral part of the climate change challenge. Creating sustainable sources of energy becomes ever more pressing as resources become depleted and natural disasters from climate change become more frequent and more devastating. Energy is key in realizing FMO’s sustainability objective, by providing people and businesses with access to energy primarily from sustainable resources via both grid and off-grid solutions. 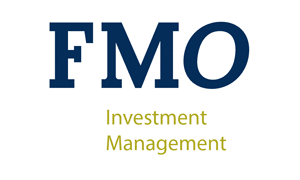 Other investors may be able to invest via the FMO Privium Impact Fund. More information can be found here.